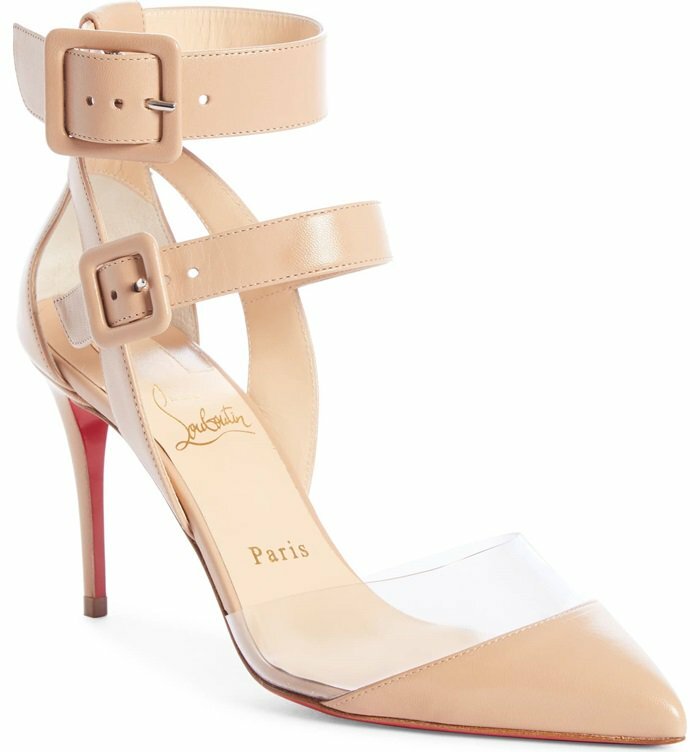 Squared-off, covered buckles secure the slender, tiered straps of a pretty pump from Christian Louboutin distinguished with a transparent inset just above the pointed toe. Which color do you want? 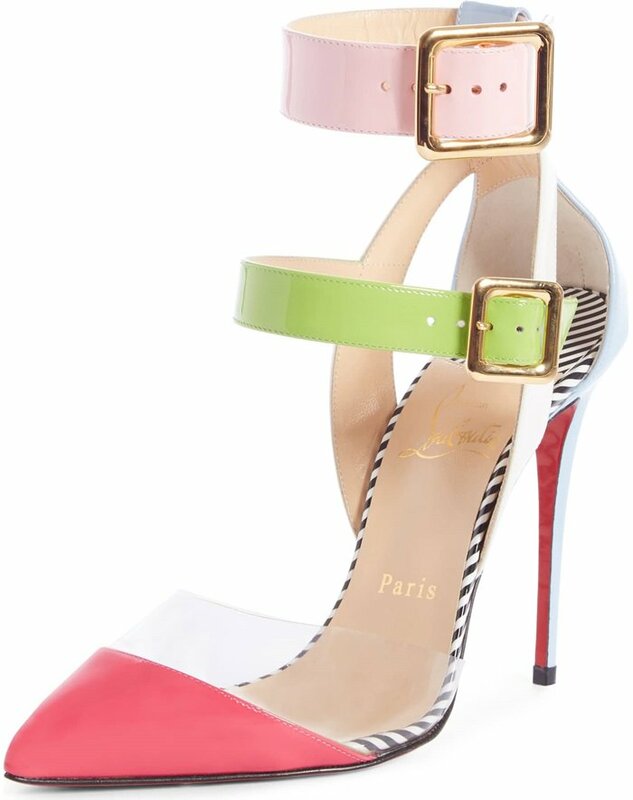 A soft rainbow hue is enhanced by a glitter finish on these strappy pointy-toe stilettos.